Some Muslims tend to view any misfortune as negative as it is caused by sins and a punishment from God. 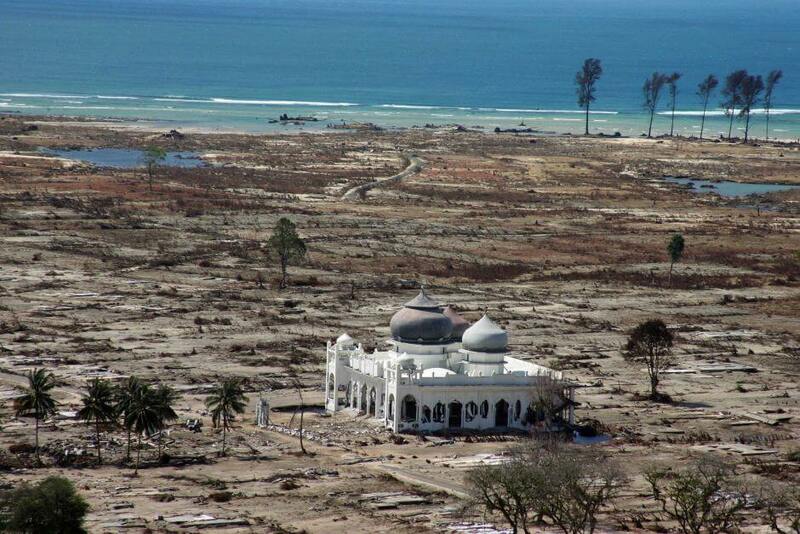 Such thinking can be observed in public discourse in social and virtual domains whenever a disaster, such as the 2004 tsunami in Aceh, occurs. To this extent, the negative news that only 680 Singaporean pilgrims are allowed to perform hajj this year and the possibility of sacrificial lamb from Australia, due to strict animal handling regulations, be denied export to Singapore were also seen as a consequence of sins and signs of divine wrath. This view is not totally theologically wrong. The Quran, indeed, mentions that nations or societies are punished by disaster and calamity when sins and corruption are prevalent among them (The Quran, 17:16, 24:63). This is evident from the stories of past nations in the Quran (7:84, 46:24-5). 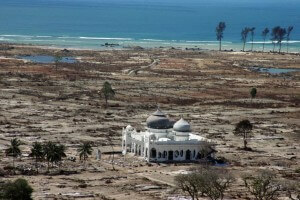 However, this view does not represent Islam’s holistic view on disaster and misfortune. The Arabic word often used for calamity is bala’ which originally means “test” (67:2) and this can occur for positive reasons as well. Allah has described the test He imposed on Abraham and his son Ishmael as great bala’ (test) (37:106). Surely, this did not happen because of sins committed by both of them because they, being Prophets, were ma’sum (divinely protected from sinning). Thus, bala’ is also a sign of God’s love to a person and not His wrath only. From this perspective, let us then view misfortunes that befell on all prophets. They occurred because God loved them, not the opposite. However, this is not exclusive to the prophets. It can also happen to individuals or societies that are loved by God. Also, bala’ (test) in the Quran does not only come in the form of disaster, calamity or misfortune. The Quran mentions that bala’ can also be in the form of ni’mah (grace) such as wealth, good health and peace (21:35). Thus, Muslims should not only be reflective of his deeds when facing misfortune, but also when receiving ni’mah because the latter may represent a negative bala’ that is unknown to him. Misfortune and disasters also occur because of the law of nature that God Himself created and He has commanded us to study this natural law (18:84-5). This means that there are disasters and misfortunes not as a result of God’s love/wrath or individual’s sins/piety, but merely because the law of nature determines so. For example, the physical weakness experienced by the elderly occurs to anyone who reaches old age, no matter whether he is a pious man or wicked sinner. Similarly, a variety of natural disasters that occurred worldwide is a result of this natural law and not, as often claimed, linked to sins and divine punishment only. Seeing misfortune and disasters as solely a result of sins and God’s punishment is problematic because of the following reasons. It does not reflect fully the teachings of Islam on the issue, as argued above. It represents a misunderstanding of Islam’s stand on the issue that bala’ is associated with only negativity. It can lead to a misunderstanding of Islam as a religion of negativity and irrationality. It bore a shallow thought pattern that, as a result, will produce a simplistic assessment and solutions to misfortune i.e. just repent to God when disaster or misfortune happened. It conditions Muslims with negative thoughts because all the disasters are only seen from a negative viewpoint. It encourages judgmental mindset because, often, the next diagnostic questions will be, “what is the sin that needs to be eliminated to prevent this disaster?” and “who was the culprit?”. Attributing sins and divine punishment to bala’ is also problematic because, in reality, no man knows the answer to why God ordained disaster or misfortune to happen. In many cases, determining that disaster and misfortune occur because of only the sins of certain individuals or organisations is a speculative exercise which is forbidden in Islam. True, sins should be used as a factor for self-reflection when there is misfortune. However, to pinpoint its cause to specific individual or organisation without definite evidence is a serious flaw. It is not the objective of this article to dismiss the idea that misfortune may occur due to sins and a form of divine punishment. As mentioned above, the idea has basis in the Quran and hadith. What the article is conveying is Muslims must approach the issue of disaster and misfortune in life with holistic perspective as taught by Islam, not solely from a negative viewpoint. Also, Muslims must also look for rational and scientific solution or prevention of disaster and misfortune because Islam recognises natural law of cause and effect as part of the explanation. As a result, the solution generated will be more concrete, relevant and constructive, not mere blaming nor condemning the sins and sinners. From Islam’s viewpoint, a solution to disaster and misfortune cannot be found from science and dismissing the spiritual aspect to the issue. However, to provide a purely spiritual solution, i.e. increase devotion to God and repent from sins in the face of calamity and misfortune without science-based effort, is equally wrong in Islam. A balanced and holistic view on the issue will hopefully cultivate positive and constructive attitudes and behaviors that will produce a more constructive and positive individual and society to face problems and challenges.